Two years have gone by and I feared I wouldn’t quite feel the same excitement about Lara Croft’s next adventure. I had recently played the Uncharted 4 PS4 remaster, so my expectations for this roleplaying action-adventure were extremely high. Plus, I was still dealing with my cooled interest in the series due to the large gap of time that the game was unavailable to me due to my non-ownership of an Xbox One console. However, as I mentioned earlier, you fight a giant bear. Right out the gate. Winning me back was no easy task, but the folks at Crystal Dynamics knew just what to do. Make the gamers feel as badass as Hugh Glass in The Revenant. When set pieces are good, set pieces are good. There’s no denying the adrenaline-pumping action of a well-crafted death-defying sequence of stunts. 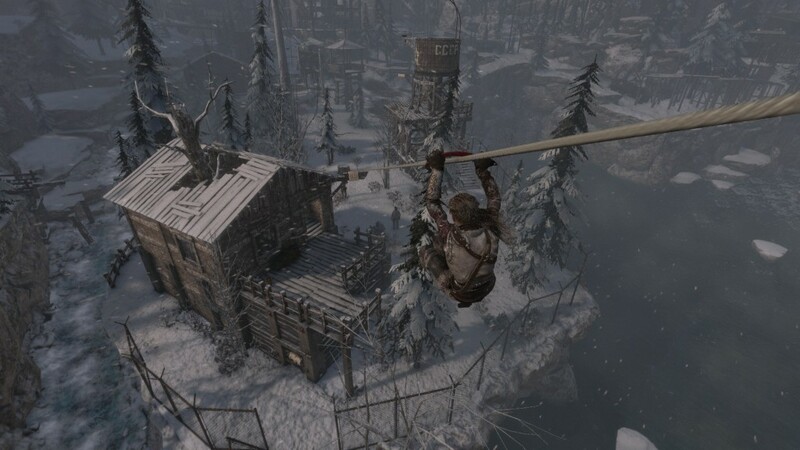 I’m only a few hours in to Rise of the Tomb Raider and I’ve already encountered a handful of these Ninja Warrior-esque obstacle courses. From jumping off a crumbling bridge, to climbing craggy ice faces to hurling myself into deluges of water to escape enemy forces, the constant flow of action never ceases to amaze and entertain. 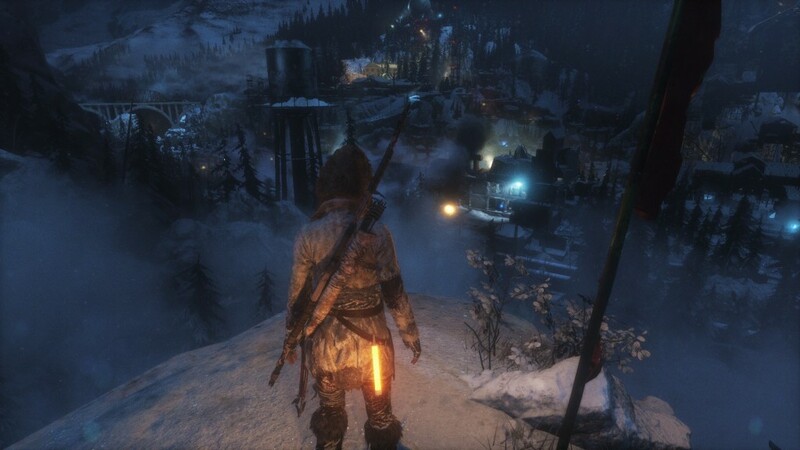 They are spectacles to behold on PC, beautifully rendering the smallest details from scintillating icicles to glowing embers. 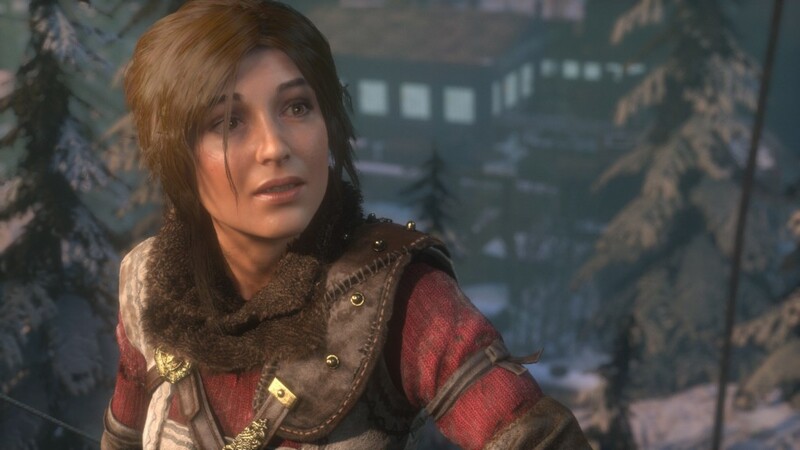 I especially like the small actions Lara will take (which is no doubt present in both versions of the game), like Lara tightening her ponytail when emerging from the water, or warming her hands when you place her near a fire. This attention to detail really exemplifies the love and care that went into making this game. 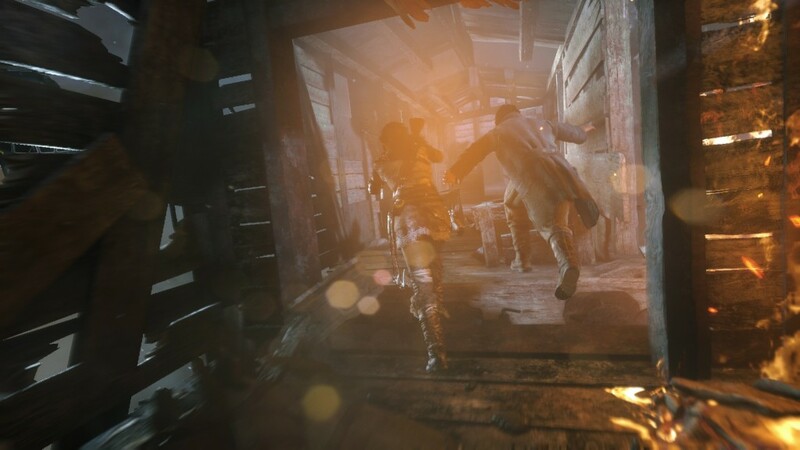 Knowing that the developers at Crystal Dynamics are not cynically churning out sequels to an already well-known franchise adds to the enjoyment. Outside of this Lawrence of Arabia meets The Count of Monte Cristo action-oriented melodrama, there is an assortment of perfectly appeasing and varied gameplay. There’s crafting, hunting and exploration. Do you want to go on a sidequest to increase your relationship with native peoples? Go right ahead. Want to take a break from firefights with heavies? Search the area, find an optional tomb, solve its puzzles and pillage its treasures (in one of my optional tombs I found an awesome archery ability, for example). There’s an abundance of things to do outside the main story, from the academic, like collecting documents, leveling up your Greek translation skills, to the primeval, like hunting small furry animals from the treetops and turning their hides into usable equipment. When making camp, you have a good deal of activities you can engage in, spending skill points, changing your equipment and sewing together new outfits ate up most of my time. Leveling up through carefully placing your skill points in your desired special abilities has proven to be fun, too, instead of a laborious chore of mapping out skill trees or meticulously balancing your characters. 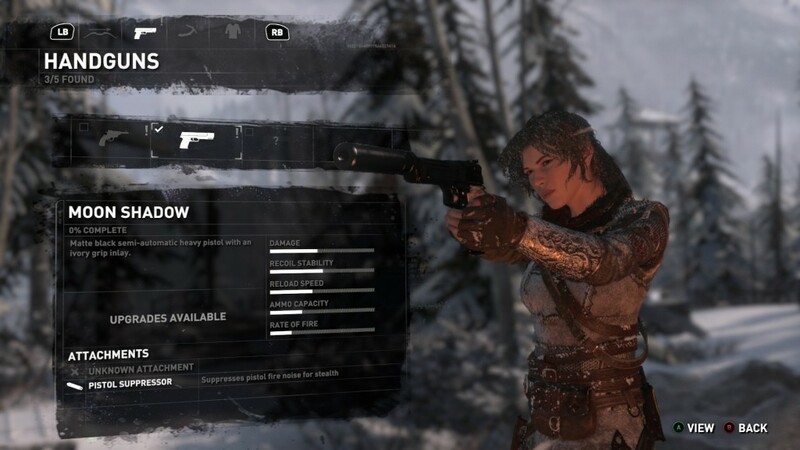 Upgrading equipment and weapons, creating new outfits for Lara all require scavenging and hunting. To craft a poison arrow, for example, you’ll need death cap mushrooms, feathers and wood. Skill points and crafting materials are easy enough to come by to make these camp site activities engaging and enjoyable, which is impressive considering that they could’ve easily ended up feeling like mindless drudgery. The one flaw, and its a bit much to call it a flaw, is its soap-opera fantasy story. It’s not really worth mentioning. It’s sort of… endearing in its own way, but it’s also completely skippable. In fact, I recommend skipping it. But I hesitate to label the story as a real negative. Who plays Tomb Raider for the story? Now, that I’ve mentioned the story that’s not worth mentioning… let’s move on. I’m with everyone else on this one. 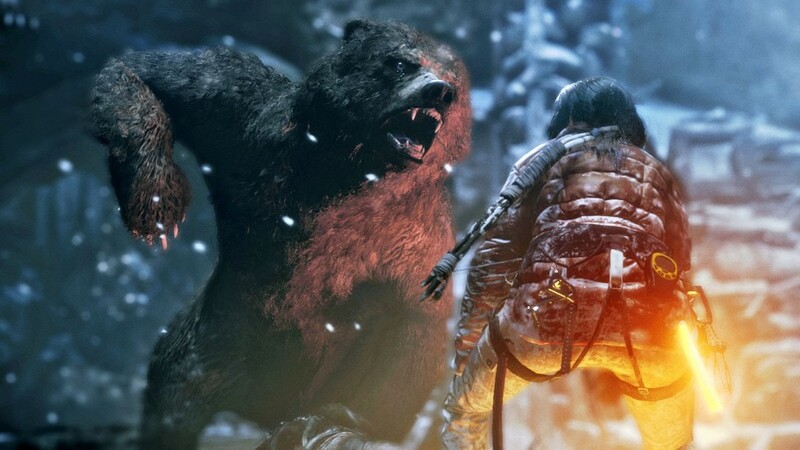 So far I am amazed by how much fun Rise of the Tomb Raider is. Whether or not it surpasses the 2013 Tomb Raider is yet to be seen, but I wouldn’t be surprised if this entry trumps the last. The beautiful graphics, action-packed platforming sequences, trap-laden, puzzling tombs and tight combat make for a game worth finishing. And finishing hard. Thanks for reading! I hope you enjoyed my first impressions article! 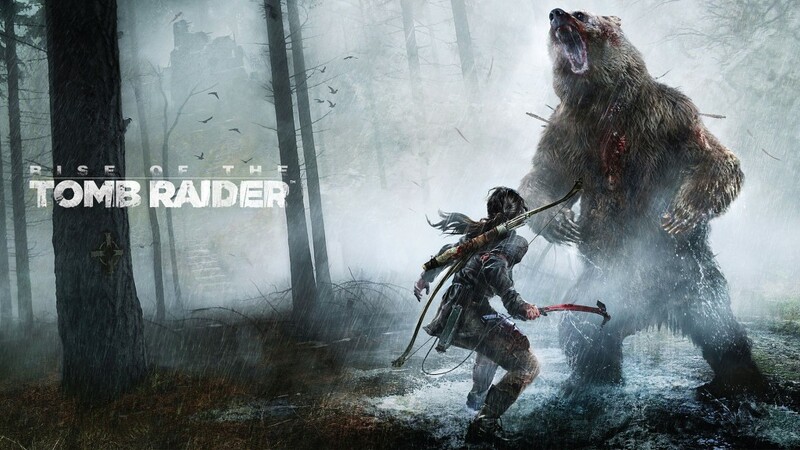 Tell me your thoughts about Rise of the Tomb Raider in the comments below! Did you like it? Hate it? Skip it?